Mystery, scroll to the bottom of this page. He was conceived by the power of the Holy Spirit, born of the Virgin Mary, was crucified, died, and was buried. He descended to the dead. On the third day He rose again; He ascended into Heaven, and is seated at the right hand of the Father. He will come again to judge the living and the dead. I believe in the Holy Spirit, the holy Catholic Church, the Communion of Saints, the forgiveness of sins, the resurrection of the body, and life everlasting, Amen. 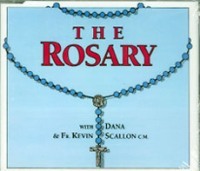 See rosaries with added 'Glory Be' beads! This concludes how to begin the Joyful Rosary. Click here, to continue with the First Joyful Mystery. video below, click on it twice.